Sewing is fun as well as practical. 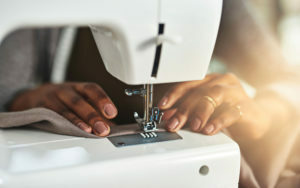 You can make your own clothes, mend your own quilts, and create an endless variety of fabric products. Anyone who is familiar with sewing knows how annoying it can be when the machine jams, or when you spend too long trying to thread the needle on the device. There are products where these annoyances won’t be a concern, however, and those are the ones to go for. Make your grandmother proud by choosing a great product!